are set to hit US stores in July. 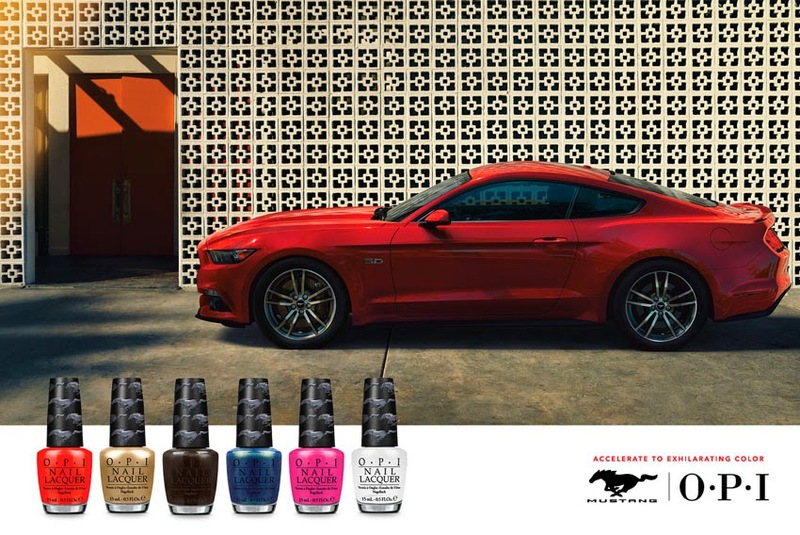 Coinciding with Mustang 50th anniversary celebrations this year, OPI marks the milestone with a standout collection of colors - all capturing the spirit, passion and excitement of Ford Mustang. "For five decades, Mustang has represented some of the best of American culture, inspiring a feeling of freedom and independence," said Melanie Banker, Mustang Marketing Manager. "We are excited to celebrate the iconic Ford Mustang with OPI and tell its story through color." Pony-up with color Developed by OPI Co-Founder and EVP Suzi Weiss-Fischmann, the collection uniquely expresses the spirit of Mustang. "Nail color, just like the car she drives, is the ultimate expression of a woman's personality," said Weiss-Fischmann. "Automobiles are synonymous with style, and there is a special kind of love affair between a woman and her car." "These lacquers celebrate a woman’s pursuit of excitement and invite OPI fans to accentuate their personal style and embrace Mustang's adventurous spirit through color," she added. > The Sky's My Limit: There is nothing like the freedom of the open road and shimmering, endless blue sky. This aqua hue awakens a woman's sense of adventure and is a trend shade for summer going into the fall. "Color is very personal to people and to how they express themselves," said Susan Lampinen, Group Chief Designer, Color and Material, Ford Motor Company. "Similarly, color plays a key role in defining the character of a vehicle: Mustang paint colors need to denote performance, sportiness, and power. They are expressive, bold and eye-catching colors, like the ones chosen for this limited edition collection."